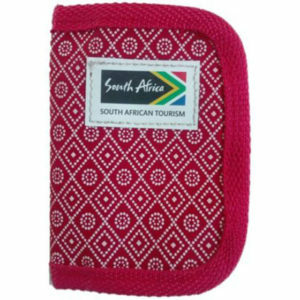 Looking for quality travel eco gifts that help clean up the environment and are proudly South African? 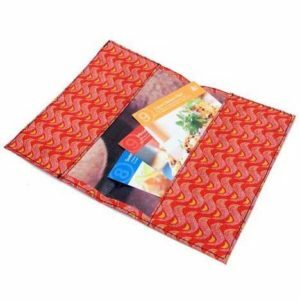 We manufacture very attractive eco travel allets, they are made from upcycled PVC billboards which are covered in shweshwe. They can also be made just from recycled billboards. Such a well -received eco gift. People love these travel wallets. 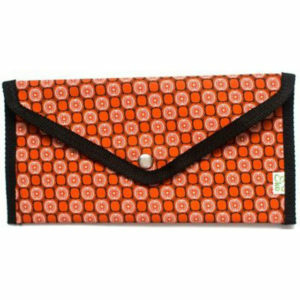 Other eco gift options are our eco friendly card holders. W could also vover them with other African fabrics or possibly a fabric of your choice. 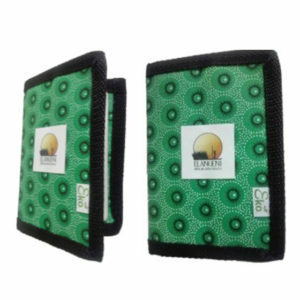 The travel wallets and card holders can be branded with a full colour printed PVC label which will be sewn on in your preferred position.